The tide has been shifting in the modern reformed world. Debate over theology proper in reformed circles is finally reaching the question of epistemology. K. Scott Oliphint has argued that, in light of Van Til’s epistemology, “much of systematic theology that’s done, especially in theology proper, needs a complete revision and re-write.” The crux of the issue is the role of logic. Van Til taught that when Scripture presents us with statements that violate the human law of non-contradiction, we must embrace both. We must embrace the paradox with faith that what is contradictory in our minds is not contradictory in God’s mind, whose thoughts are above our thoughts. When ARBCA stated in its position paper on the doctrine of divine impassibility that Scripture is non-contradictory, they were accused of engaging in natural theology. The TC [ARBCA Theological Committee] explicitly deny the ideas of ‘tension’, ‘paradox’, ‘antinomy’ in hermeneutics in their Long Paper. Their explanation reveals a hostility to the chastened hermeneutic of the Princeton-Westminster tradition of Vos, Van Til, and Murray – which explicitly rejected scholastic hermeneutics. Vos employed the distinction between pure and mixed articles in his doctrine of creation, a theological distinction that owes its origins to Lombard and was adopted by Aquinas. In brief, articuli puri / mixti derive their origins from the disciplines of theology and philosophy. Those articles derived from theology alone are “pure,” and those that originate from both philosophy and theology are mixed. The idea that stands behind these terms is that human beings acquire some knowledge of God through the use of reason and other knowledge exclusively from special revelation. In other words, this set of terms requires that a theologian define the precise relationship between philosophy and theology. In short, to admit mixed articles means that one employs some form of natural theology. The example he provides is from the doctrine of creation. In the first volume of his Reformed Dogmatics Vos treats the doctrine of creation in his sixth chapter. Vos asks a series of questions: What is creation? How do theologians divide the external works of God? Where does the doctrine of miracles belong? In the fourth question Vos poses the following: “Is the doctrine of creation an articulus purus [pure article] or an articulus mixtus [mixed article]?” Vos provides his answer by first explaining his use of terms. Pure articles “are those that cannot be derived both from reason and from revelation but depend entirely on revelation.” Mixed articles, on the other hand, “flow from both reason and revelation.” With his terms defined, Vos zeroes-in on the specific nature of his question: “Whether creation can be proven by reason.” Some have tried to answer the question by starting with the concept of God. God could not have remained enclosed within himself because he needed a world to love. Vos rejects this argument because it would deny God’s aseity. He counters that one can reason from the world up to God, but we cannot descend from God to the world by “logic,” that is, by reason alone. Human reason alone will eventually run out of road and conclude that the creation is mysterious and unique but cannot determine that it arose ex nihilo. Thus, Vos concludes that creation ex nihilo is a pure article; we learn of it solely from special revelation. Vos qualifies his answer, however, by specifying that creatio ex nihilo is a pure article, not the general idea of God’s creation of the universe. I think Fesko successfully proves his thesis. It echoes the conclusion that I reached in my essay The Silent Shift on WCF 7.1 – Van Til’s epistemology (and misunderstanding of WCF 7.1) was not derived from Vos. I encourage those interested to read the full essay. 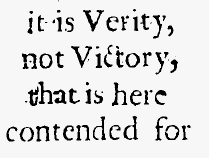 Fesko helpfully lists ways in which reason was used by some in the reformed tradition. Attempts to understand the content of revelation. We receive the word of God in both our hearts and minds. Defends principles of faith by showing that there are no logical contradictions and refuting the errors created by perverted reason. He aimed this use of reason against other religions such as Judaism and Islam. He traces this aspect from Aquinas to others in his own day such as Hugo Grotius (1583-1645). Draws conclusions from revealed principles to confirm one’s faith and salvation from a rational point of view. The apostle Paul used reason in this manner in Acts 14 and 17. Receives God’s revelation—only the spiritual person can do this (1 Cor. 2:24). Is the instrument of judgment in doctrine concerning what is true and false. This judgment operates according to the rules of good and necessary consequence. The light of Scripture and regenerate reason are necessary to reach correct conclusions. Formulates doctrine through all means of knowledge: grammar, logic, rhetoric, ethics, mathematics, physics, and metaphysics. Compares the Old and New Testaments, supernatural and natural revelation, one doctrine with another, and argument with argument. Another controversy that influenced that development was the debate that emerged between the faculty members of Westminster minster and Dr. Gordon Haddon Clark. Here the division was less between John Murray and Clark and more between Cornelius Van Til and Clark. While a student at Wheaton College (I graduated in 1939), I took all the courses that Dr. Clark offered. While still teaching at the University of Pennsylvania, he had published Thales to Dewey: A History of Philosophy. Dr. Clark’s history of philosophy presented it as a continuing chess game in which one master after another would pass from the scene, but the game would go on. We kept waiting for the philosopher who would bring the checkmate. In the sequence of his courses, everything pointed toward a contemporary Christian philosopher. Dr. Clark presented Cornelius Van Til as the philosopher to be studied, and referred to a copy of his syllabus. Dr. Van Til, however, concluded that Dr. Clark was a rationalist rather than a presuppositionalist. Van Til pronounced a plague upon both rationalism and irrationalism as positions that made human reason supreme. Instead, we must begin by presupposing the existence of the living and true God, the Creator and Redeemer, the Alpha and Omega of our faith. Both Van Til and Murray emphasized the history of redemption. In chapel talks at Westminster, both showed the influence of Geerhardus Vos’s biblical theology. (Kindle Locations 438-446). Floyd Hamilton (with Alan Tichenor, Robert Srong, Edwin Rian, and Gordon Clark) wrote The Answer, a defense of Clark in response to The Complaint. It said “without specifically amending our standards any attempt to exalt one method [of apologetics] as alone orthodox and to repudiate all appeal to the a-priori truths of reason is intolerable.” Note carefully his appeal to Hodge and compare with Fesko above. The result of the controversy was that Dr. Clark was exonerated from the charges of The Complaint. The OPC General Assembly voted 2:1 in favor of Clark. However, he could tell he was quite unwelcome at WTS (where he was planning to teach) so he left the OPC. As a result Van Til’s thought continued to dominate. For more than a generation, reformed Christians have believed that seeking to resolve contradiction in a system of theology is rationalism. 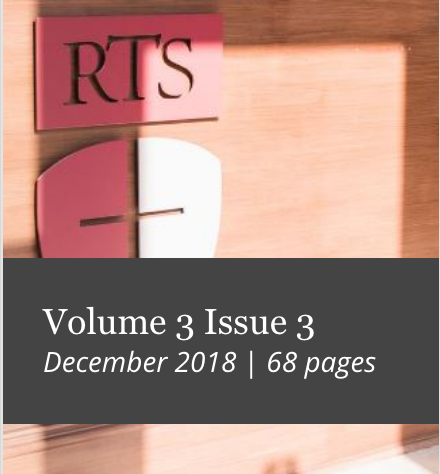 Only a few years ago a PCA seminary professor was nearly denied the transfer of his credentials to pastor an OPC church because he disagreed with Van TIl’s epistemology. The tide is shifting as people are finally seeing the problem with Van Til that Clark pointed out for 50 years. Perhaps reformed Christians will now be willing to seriously consider Gordon Clark’s substantial contribution to reformed philosophy (see Doug Douma’s recent biography The Presbyterian Philosopher), seeing that he is not quite the boogeyman he has been made out to be. I’ve been slowly working my way through TLNF one chapter at a time. I’m about half way through. I really enjoy the book. There is a lot of great material – particularly Brenton C Ferry’s Taxonomy and Bryan D Estelle’s chapter on Leviticus 18:5 and Deuteronomy 30:1-14. However, I have been concerned from the outset that the book is handicapped by fear. While I find much biblical merit for what they say, I have become rather convinced that their position is contrary to the WCF. That doesn’t matter for me, cause I’m just an ignorant 1689 babtist. But it does mean I’m sensitive to how the thesis and arguments of TLNF are muddied because of their desire to remain within the bounds of the WCF. So Owen provides an excellent argument for republication, but in a book devoted to republication, he is silenced because he believes republication is contrary to WCF 7.6. So clarity is sacrificed for tradition. I was working on another blog post after reading W. Gary Crampton’s “From Paedobaptism to Credobaptism” where he references a passage of Calvin’s Institutes (2.11.10). I read the passage and others around it, which I had read before – but something seemed different from what I had remembered about it. I went back and looked at Fesko’s chapter from TLNF where he references a similar passage (2.11.4) and was immediately struck by how inaccurate Fesko’s representation of Calvin was and how confusing he had made a rather clear statement from Calvin. …For through animal sacrifices it could neither blot out sins nor bring about true sanctification. He therefore concludes that there was in the law “the shadow of good things to come,” not “the living likeness of the things themselves” [Heb 10:1]. Therefore its sole function was to be an introduction to the better hope that is manifested in the gospel [Heb 7:19; and Ps. 110:4; Heb 7:11; 9:9; 10:1]. Here we are to observe how the covenant of the law compares with the covenant of the gospel, the ministry of Christ with that of Moses. For if the comparison had reference to the substance of the promises, then there would be great disagreement between the Testaments. But since the trend of the argument leads us in another direction, we must follow it to find the truth. Let us then set forth the covenant that he once established as eternal and never-perishing. Its fulfillment, by which it is finally confirmed and ratified, is Christ. While such confirmation was awaited, the Lord appointed, through Moses, ceremonies that were, so to speak, solemn symbols of that confirmation. A controversy arose over whether or not the ceremonies that had been ordained in the law ought to give way to Christ. Now these were only the accidental properties of the covenant, or additions and appendages, and in common parlance, accessories of it. Yet because they were means of administering it, they bear the name “covenant,” just as is customary in the case of other sacraments. To sum up then, in this passage “Old Testament” means the solemn manner of confirming the covenant, comprised in ceremonies and sacrifices. Because nothing substantial underlies this unless we go beyond it, the apostle contends that it ought to be terminated and abrogated, to give place to Christ, the Sponsor and Mediator of a better covenant [cf. Heb 7:22]; whereby he imparts eternal sanctifications once and for all to the elect, blotting out their transgressions, which remained under the law. Or, if you prefer, understand it thus: the Old Testament of the Lord was that covenant wrapped up in the shadowy and ineffectual observance of ceremonies and delivered to the Jews; it was temporary because it remained, as it were, in suspense until it might rest upon a firm and substantial confirmation. It became new and eternal only after it was consecrated and established by the blood of Christ. Hence Christ in the Supper calls the cup that he gives to his disciples “the cup of the New Testament in my blood” [Luke 22:20]. By this he means that the Testament of God attained its truth when sealed by his blood, and thereby becomes new and eternal. So Calvin is talking about the two administrations of the single eternal covenant [of grace]. He calls one administration (Moses) the covenant of the law and he calls the other administration (Christ) the covenant of the gospel. He insists that the difference between the two is only accidental (meaning non-essential appearances), and not in the “substance of the promises.” Finally, he says the covenant of the law and the covenant of the gospel are successive, not concurrent. Now, is this what we find in Fesko’s summary of Calvin’s teaching on the covenant of law and the covenant of the gospel? Given Calvin’s explanation of soteriology in the OT, one has a framework in which to understand the place and function of the Mosaic covenant in his theology. Calvin explains that with the dispensation of the Mosaic covenant there are two separate covenants, the foedus legale and the foedus evangelicum, the ministries of Moses and Christ (2.11.4). There is a sense in which Calvin sees these two covenants in an antithetical relationship to one another, as the law functions within the foedus legale only “to enjoin what is right, to forbid what is wicked; to promise a reward to the keepers of righteousness, and threaten transgressors with punishment” (2.11.7). In other words, Calvin is not afraid to say that the Mosaic administration of the law sets forth a covenant governed by a works principle, namely, eternal life through obedience: “We cannot gainsay that the reward of eternal salvation awaits complete obedience to the law, as the Lord has promised” (2.7.3). The problem, however, with this covenant of obedience is, because of man’s sinfulness, “righteousness is taught in vain by the commandments until Christ confers it by free imputation and by the Spirit of regeneration” (2.7.2). Calvin, therefore, sees the Mosaic covenant characterized by the promise of eternal life which can be obtained by Israel’s obedience, yet because of her sin, Israel is unable to fulfill the requirements of the covenant – only Christ was able to do this. In this sense, then, the foedus legale and the foedus evangelicum are antithetical, in that they both extend the promise of salvation, the former through obedience and the latter through faith in Christ. Wow. Was that anything close to what we just read from Calvin? No. Fesko misrepresents Calvin to make Calvin say exactly what the entire volume of TLNF is attempting to argue. How convenient. Fesko first twists Calvin’s words regarding a foedus legale and a foedus evangelicum to say they were two different covenants both operating during the Mosaic dispensation. Calvin nowhere says that. He says they are two successive administrations of the one covenant. Fesko then moves out of Calvin’s 2.11.4 passage where Calvin uses the term “covenant of law” and uses quotes where Calvin is talking about the moral law narrowly and apart from the Mosaic covenant. All this in an attempt to make Calvin say the Mosaic covenant operated on a works principle. Note Fesko’s “in other words” because he can’t find any actual words from Calvin to say what he wants Calvin to say. What then, does Fesko say is Calvin’s view of the Mosaic covenant? According to him, “Calvin explains that in the dispensation of the Mosaic covenant there are two separate covenants” (30). What evidence does Fesko provide to support this view? He appeals to Calvin’s linguistic distinction between a foedus legale and a foedus evangelicum, arguing that there is “a sense in which Calvin sees these two covenants in an antithetical relationship to one another” (30). 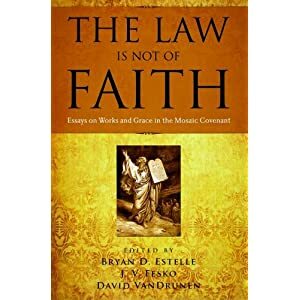 The primary difference, for Fesko, is that the foedus legale “sets forth a covenant governed by a works principle, namely, eternal life through obedience” (30). Here we are to observe how the covenant of the law (legale) compares with the covenant of the gospel (evangelicum), the ministry of Christ with that of Moses. For if the comparison had reference to the substance of the promises, there would be great disagreement between the Testaments. But since the trend of argument leads us in another direction, we must follow it to ﬁnd the truth. Let us then set forth the covenant that he once established as eternal and never-perishing. Its fulﬁllment, by which it is ﬁnally conﬁrmed and ratiﬁed, is Christ. While such con- ﬁrmation was awaited, the Lord appointed, through Moses, ceremonies that were, so to speak, solemn symbols of that conﬁrmation. A controversy arose over whether or not the ceremonies that had been ordained in the law ought to give way to Christ. Now these were only the accidental proper- ties of the covenant, or additions and appendages, and in common parlance, accessories of it. Yet, because they were means of administering it, they bear the name “covenant,” just as is customary in the case of the other sacraments. To sum up, then, in this passage “Old Testament” means the solemn manner of conﬁrming the covenant, comprised in ceremonies and sacriﬁces (2.11.4). In 2.11.4, Calvin is not teaching that the Mosaic covenant should be viewed as a “separate covenant” governed by a works-principle. In fact, Calvin makes the opposite point in this very passage, namely, that the Mosaic covenant is essentially a covenant of grace, though differently administered. Fesko also appeals to Calvin’s Institutes 2.11.7 to support his interpretation of the foedus legale. The reader should note the jump: the ﬁrst quote comes from 2.11.4, while the second comes three sections later. The two are then woven together in a way that makes them appear like a seamless garment. But in 2.11.7, Calvin is not speaking of a “separate covenant” during the Mosaic administration, but rather of “the mere nature of the law” abstracted from that covenant. Calvin is analyzing the words of Hebrews and Jeremiah, whom he says “consider nothing in law, but what properly belongs to it.” As the very next section (2.11.8) clearly demonstrates, Calvin understands Jeremiah to be speaking simply of the moral law itself, not of a “separate covenant” operative in the Mosaic administration: “Indeed, Jeremiah even calls the moral law a weak and fragile covenant [Jer. 31:32].” In other words, Fesko’s error is that he applies what Calvin says about the moral law to a separate covenant in the Mosaic administration. This is very strange, considering that he himself had told us at the start of the article that—“When one explores Calvin’s understanding of the function of the law, he must therefore carefully distinguish whether he has the moral law or the law as the Mosaic covenant in mind” (28). Well said. But when it comes to one of the most crucial points in his reading of Calvin, he chooses to ignore that distinction and applies what Calvin says about the moral law to the Mosaic covenant itself. The signiﬁcance of this mistake cannot be underestimated. It is the only primary document evidence that Fesko gives to support this key aspect of his thesis. On page 33, he summarizes in six points his thesis regarding Calvin’s view of the Mosaic covenant. To points 1-4, we say “Amen.” But for the reasons outlined above we cannot agree with points 5-6. (5) The Mosaic administration of the law is speciﬁcally a foedus legale in contrast to the foedus evangelicum, the re- spective ministries of Moses and Christ; and (6) the foedus legale is based upon a works principle but no one is able to fulﬁll its obligations except Christ (33). What Fesko should have said is that for Calvin, the moral law, narrowly considered, promises eternal life for perfect obedience. To say that the “Mosaic covenant is characterized by a works principle” (32) is only to confuse what Calvin keeps clear. The moral law itself may promise life for perfect obedience, but Calvin does not speak this way about the Mosaic covenant or the foedus legale. If the Kerux review is a “poorly written, amateur, and shoddy ill-begotten waste of time” then what is TLNF? Personally, I think that Kline’s formulation is more biblical than Calvin’s. But we shouldn’t be afraid to say it is different. I have posted elsewhere regarding John Piper’s “future” justification. If you read Piper’s writings on the topic, he leans very heavily on the idea that the phrase “according to” means something completely different than the phrase “on the basis of” when it comes to our works and justification. He has to lean heavily, because without such a distinction he is guilty of muddying the gospel. What is not said in verse 13 is that people are justified “by works.” Paul does not use the phrase ej x e[ rgwn (“from works”), which I take to be roughly what is usually meant by the English phrase “on the basis of works,” as opposed to the phrase “according to works” (kata; ta; e[ rga auj tou` ). *** Paul is clear that “by works of the law no human being will be justified in his sight, since through the law comes knowledge of sin” (Rom. 3:20). Rather, he says, “We hold that one is justified by faith apart from works of the law” (Rom. 3:28). Does this mean that the statement “It is . . . the doers of the law who will be justified” (v. 13) only expresses a principle of doing over against hearing so as to remove the objection that the Gentiles don’t have access to “hearing”? Given the demands of the flow of the argument in Romans 2:6–16 which we saw above, I doubt that we can press this statement very far for the defense of justification by works. Paul makes a statement that in this context functions as a principle (doing, not hearing, will matter at the judgment), rather than a declaration about how that doing relates to justification—let alone whether the doing of Christ may supply what our doing lacks. The verse was not written to carry that much freight. However, the verse does raise the question that must be answered: How does the obedience of the Christian relate to his justification? ***[footnote] Wherever the phrase ej x e[ rgwn is connected to justification in Paul, the point is that justification does not happen this way. Rom. 3:20; 9:11, 32; 11:6; Gal. 2:16; 3:2, 5, 19; Eph. 2:9; Titus 3:5. In Matthew 12:37 and James 2:21, 24–25, justification is said to happen “by your words” (ej k . . . tw` n lov gwn sou) or “by works” (ej x e[ rgwn). Other contextual factors incline me to take Jesus and James to mean not that justification is “based on” our deeds the way our justification is “based on” Christ as our righteousness, but rather that our deeds confirm our faith in Jesus so that he remains the sole basis of our acceptance with God, in the sense that his death alone covers our sins and his righteousness alone provides all the obedience that God requires of us for God to be totally for us—the perfect righteousness implicitly required in the phrase, “God counts righteousness apart from works” (Rom. 4:6). It is likely that Matthew and James are using the word dikaiov w differently than Paul is (just as Matthew and Paul use kalev w differently, Matt. 22:14; Rom. 8:30). So, James and Matthew may also be appropriating the phrase “from works” differently than Paul. While Paul chooses to never employ that phrase in reference either to present justification or future judgment, James and Matthew, without differing from Paul conceptually, employ a phrase that Paul wouldn’t to say something (conceptually) that Paul would. I am not saying that there are distinct and uniform usages of the two phrases ej x e[ rgwn and kata; ta; e[ rga. The latter can carry the sense of “on the basis of” at times, though not always. Therefore, we must draw our conclusions concerning Paul’s understanding of the function of works in relation to justification not merely from the phrases themselves, but from the wider teaching of the apostle as well. So you can see what a lynchpin Piper’s interpretation of “according to” is. You can access the PDF from the link above to read more on pp 116-120. However, Piper’s interpretation of the phrase “according to” does not stand the test, and as a result, his view of the final judgment has serious problems. Richard Gaffin tries to argue, on the basis of the grammar involved in a similar Pauline statement, that works are not the ground of judgment: “It is not for nothing, I take it, and not to be dismissed as an overly fine exegesis to observe, that in Romans 2:6 Paul writes, ‘according (kata) to works,’ not ‘on account of (dia),’ expressing the ground, nor ‘by (ek) works,’ expressing the instrument” (By Faith, Not By Sithgt [Carlisle: Paternoster, 2006], 98-99; similarly, Venema, Gospel, 266). Though Gaffin’s comment concerns Paul’s statement in Romans 2:6, at the same time we find the same prepositional combination with the accusative in John’s statement in Revelation 20:12e, the only difference being in the use of the singular and plural pronouns (cf. Rom 2:6). Gaffin argues this point because he wants to preserve sola fide in the judgment of the works of the believer. Relying upon the analysis of Ridderbos and Murray, Gaffin’s finer point is that the judgment kata works is “in accordance with” the works, and such works are synecdochical for faith in Christ (see Herman Ridderbos, Paul: An Outline of His Theology, trans. John Richard de Witt [1975; Grand Rapids: Eerdmans, 1992], 178-81; Murray, Romans, 78-79). Yet can such a fine distinction be supported by the grammar alone? The use of “dia” with the accusative means “because of, on account of,” and the use of “kata” with the accusative means “in accordance with, corresponding to” (Daniel B. Wallace, Greek Grammar beyond the Basics [Grand Rapids: Zondervan, 1996], 368-69, 376-77). One must ask, what difference exists between the two? In fact, when we delve more deeply into the significance of “kata” with the accusative, we find that “often the noun that follows kata specifies the criterion, standard, or norm in the light of which a statement is made or is true, an action is performed, or a judgment is passed. The prep. will mean ‘according to’, ‘in conformity with’, ‘corresponding to.’ This use is common in reference to the precise and impartial standard of judgment that will be applied at the great Assize (Matt. 16:27; Rom 2:6; 1 Cor 3:8; 2 Tim. 4:14; 1 Peter 1:17; Rev 2:23)” (Murray J. Harris, “Prepositions and Theology in the Greek New Testament,” in NIDNTT, 3:1200). Pace Gaffin and Venema, their argument apparently fails to account for judgment kata works for the wicked. This point seems to be borne out by Paul’s own use of kata, as he says, “He will render each one according to [kata] his works” (Rom. 2:6), but this rendering kata works is for both the righteous (v. 7) and the wicked (v. 8). According to Gaffin’s interpretation, are the wicked judged according to their works, but are they not the ground of their condemnation (see 2 Cor. 11:15)? Again, note how Paul uses kata: “Now to the one who works, his wages are not counted as a gift but as his due [to de ergazomeno ho misthos ou logizetai kata charin alla kata opheilema]” (Rom 4:4; see also Brian Vickers, Jesus Blood and Righteousness [Wheaton, IL: Crossway, 2006] 95; Yinger, Paul, 21-26, 89-90, 135-136, 175, 182, 186). Judgment therefore is indeed kata (in accordance with, or on the basis of) works – the evil works of the unbeliever and the good works, or righteousness, of Christ.